I was recently on a pre-production walk through of a hotel currently under renovation and I became curious about how often hotels and resorts have to remodel to stay competitive and retain their customer base. I found this interesting article from the LA Times, which basically says; 3-6 years for a refurbishment of the furniture and fixtures; 12 years for a basic renovation; and 50 years for a massive renovation. Of course, to show off their latest upgrades they have to have great photography and that's where I come in. 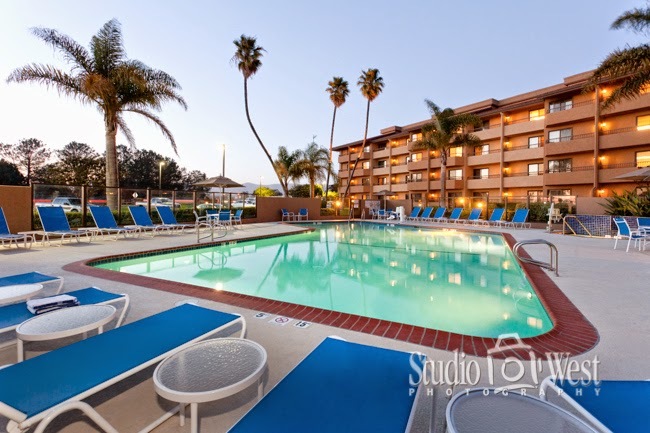 In this case, the Holiday Inn and Suites in Santa Maria is undergoing a large renovation that started with the pool area. The rest of the renovation is soon to be completed.